Welcome to the Gauthier Research Group! We are working at developing novel synthetic methodologies in the field of carbohydrate chemistry and applying these to the synthesis of complex glycoconjugates and glycans (oligosaccharides, glycolipids, glycoproteins, etc.) of biological and medicinal interests that could be used as therapeutics, diagnostics, vaccines and adjuvants. We also have a strong interest in the isolation and synthesis of bioactive natural products. We are based at the INRS-Institut Armand-Frappier in Laval (Québec), Canada. We are always looking for good scientists to joint our group. Prospective students and postdocs having experience in synthetic organic chemistry can check the contact section for potential sources of funding. 04/02/2019 - Welcome to Oscar Javier Gamboa Marin who is starting his MSc today in our research group! 14/01/2019 - Welcome to Samar Hadj Amor who is starting her MSc today in our research group in collaboration with Prof. Eric Déziel! 07/01/2019 - Welcome to Emmanilo Delar who is starting his PhD today in our research group! 12/12/2018 - Our paper recently published in Natural Product Reports makes the cover page of the journal today! Many thanks to Caroline Piochon for the cover art! 10/12/2018 - Congratulations to Oscar Javier Gamboa Marin for earning a CERMO-FC graduate stipend! Oscar will join our group as an MSc student early next year. 27/11/2018 - Our paper in collaboration with Prof. Pichette's group regarding the synthesis of naturally occurring cytotoxic dichromones and derivatives has been published in Organic Letters! 22/11/2018 - Congratulations to Maude Cloutier, MSc student in my research group, who is the recipient of the Prix Relève étoile Louis-Berlinguet for her paper published in Nat. Prod. Rep. ! 28/10/2018 - Our paper regarding the isolation and structural determination of a novel macrodilactone-containing glycolipid has been published in Carbohydrate Research. This is a work in collaboration with Prof. Eric Déziel's group! 04/09/2018 - Welcome to Paul Gormand who is joining our group for a 3-month work experience! 19/07/2018 - Our review paper regarding the chemical synthesis and bioactivity of oligo/polysaccharides from Burkholderia spp. has been published in Natural Product Reports! Congratulations to Maude, Kevin and Gokul for their involvement. 16/07/2018 - Charles gave a talk at the 29th International Carbohydrate Symposium in Lisboa! 07/05/2018 - Congratulations to Oscar Javier Gamboa Marin, Université de Montréal, for earning a NSERC undergraduate student research award! He will be working in our group for the Summer trimester. 07/05/2018 - Welcome to Sabrina Di Cintio, Université Laval, who will be working in our group for the Summer trimester as an undergraduate research trainee! 07/05/2018 - Welcome to Maude Cloutier who is starting today in our group for two years as a MSc student! 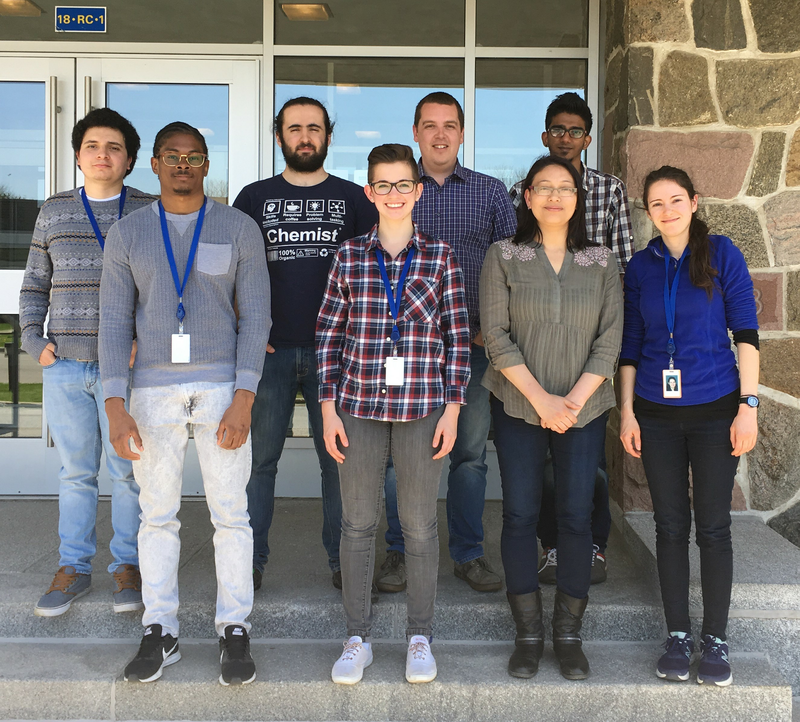 30/04/2018 - Charles thanks the Fonds de recherche du Québec – Nature et technologies (FRQNT) Team Grant Program for supporting our research in collaboration with Prof. Charles Ramassamy on the chemical synthesis and biological activity of anthocyanins! 30/04/2018 - Charles thanks the Fonds de recherche du Québec – Santé (FRQS) for a Research Scholars Junior 2 salary award! This grant will support our research program aiming at developping new vaccines and antibiotics against Gram-negative bacteria. 30/04/2018 - Welcome to Gayetri Shrestha from College Dawson, Montréal, who is doing a four-week research internship in our lab! 30/04/2018 - Congratulations to Maude Cloutier for earning a FRQNT scholarship! 01/04/2018 - Congratulations to Maude Cloutier for earning a NSERC scholarship! She will be joining in our group in May as a MSc student. 14/03/2018 - Our paper in collaboration with Prof. Jean Legault regarding the anticancer mechanism of action of a bidesmosidic betulin saponin has been published in PLOS ONE today! 08/01/2018 - Welcome to Emmanilo Delar who is doing his M2 work experience in our group for a six-month period. Good luck! 29/11/2017 - Charles was invited to give a conference at the Conseil national de recherches du Canada (CNRC) in Ottawa (Ontario), Canada. 10/11/2017 - Kevin presented a poster at the 10e édition du Congrès Armand-Frappier in Orford (Québec), Canada. 04/10/2017 - Charles gave a talk at the Academic/industry partnerships symposium (AIPS) in Laval (Québec), Canada. 02/10/2017 - Charles was invited to give a conference at the Département de Chimie, Université Laval. 01/10/2017 - Charles gave a talk at the 7e édition du Colloque annuel du Réseau québécois de recherche sur les médicaments in Québec City (Québec), Canada. 05/09/2017 - Welcome to Seynabou Ndong (research trainee) and Gokulakrishnan Ravicoularamin (MSc student) who have joined our group today! 31/08/2017 - Charles gave a talk at the 7e colloque Pharmaqam in Montréal (Québec), Canada. 24/07/2017 - Our paper related to the development of a glycoconjugate vaccine against melioidosis and glanders has been published today in Nature Communications! 05/06/2017 - Charles features as a New Investigators in Glycoscience in the current issue of Carbohydrate Research! 08/05/2017 - Congratulations to Arianne Provost-Savard and Robert Hoyeck for earning a NSERC undergraduate student research awards! They will be working in our group for the Summer trimester. 16/01/2017 - Welcome to Nassima Ameur who is doing her M2 work experience in our group! She comes from the University of Caen, France. 09/01/2017 - Welcome to Kevin Muru who is starting his PhD in Biology in our group! 05/12/2016 - Welcome to Marianne Piochon who is starting today as a Research Assistant in our lab for seven months! 18/11/2016 - Very proud to feature on the cover page of The Journal of Organic Chemistry today! Thank you to Caroline Piochon for drawing the cover art! 01/11/2016 - The Gauthier Group will be funded by the "Natural Sciences and Engineering Research Council of Canada" (NSERC) Engage Grant Program to work in collaboration with Security & Protection International on a biosensor project! 07/10/2016 - The "Réseau Québécois de Recherche sur les Médicaments" has granted us a funding for two years in the framework of the "Découverte de composés et chimie thérapeutique" Program! 14/09/2016 - Our paper related to the synthesis of β-Kdo glycosides has been selected as a "Featured Article" by the editor of The Journal of Organic Chemistry. It will make the cover page of issue #22. We warmly congratulate all the students and postdocs who worked on this project! 18/07/2016 - Charles gave a talk at the 28th International Carbohydrate Symposium in New Orleans! 06/07/2016 - Another paper in collaboration with Prof. André Pichette has been published in Bioorganic & Medicinal Chemistry! We isolated structurally novel flavonoids that are active at the low micromolar level against methicilline resistant Staphylococcus aureus (MRSA) strains. Read the paper following the link. 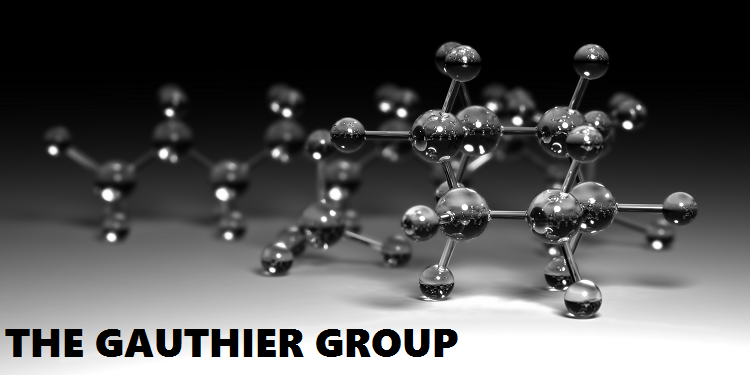 27/06/2016 - "The Gauthier Group" has officialy moved to INRS-Institut Armand-Frappier! 18/04/2016 - Our research will be funded by the "Natural Sciences and Engineering Research Council of Canada" (NSERC) Discovery Grant Program from 2016 to 2021! 04/12/2015 - Congratulations to Marielle Tamigney Kenfack who passed with success her PhD defense! 23/11/2015 - Read our recent article published in Journal of Natural Products concerning the structural determination of unprecedented tetraterpenoids using DFT calculations and ROESY NMR data! This work is a collaboration with Prof. André Pichette from the Université du Québec à Chicoutimi. 16/09/2015 - Our article related to the synthesis of the repeating unit of the β-Kdo-containing exopolysaccharide from human pathogenic Burkholderia species has been accepted for publication in The Journal of Organic Chemistry. Congratulations to all the students who worked on this project! 01/09/2015 - Welcome to Dr Marcelina Mazur who is starting a six-month postdoctoral stay in our lab! She comes from the Wroclaw University of Environmental and Life Sciences in Wroclaw, Poland. 03/08/2015 - Our work concerning the complete NMR structural elucidation of a series of pergalloylated tannins has been accepted for publication in Magnetic Resonance in Chemistry. This research is a collaboration with Prof. André Pichette from the Université du Québec à Chicoutimi. 21/07/2015 - Our research project aiming at studying the structural epitopes of the capsular polysaccharide of Burkholderia pseudomallei needed for the recognition with a monoclonal anti-CPS antibody (mAb 4C4) has been published as an ASAP article in ACS Chemical Biology. This research was performed in the context of an international collaboration with Prof. Antonio Molinaro (Università di Napoli Federico II, Naples, Italy), Prof. Paul J. Brett (University of South Alabama, Mobile, US) and Prof. David P. AuCoin (University of Nevada School of Medicine, Reno, US).